Live in Lyon is an unedited 23-minute recording of one of Karkowski’s performances. The fact that it’s unedited is significant, as it highlights from time to time the way in which Karkowski wrangled with both the technology and the sound materials themselves, and the occasional dropouts and glitches that occur in no way sound like ‘mistakes’ but only add to the overall effect of the performance. Discussing Karkowski’s music to an extent necessitates looking broadly rather than at minutiae. It tends to unfold slowly, generally favouring evolution and transformation rather than abrupt cuts and shifts, and an important factor in engaging with it is the way one gradually becomes familiar with its discrete sound elements, a familiarity that Karkowski often makes crushingly intimate. An interesting feature of Live in Lyon is the way Karkowski positions sound in such a way as to reinforce or diminish their power. During the first third of the performance there are alternations between left-right separation, which sounds extremely forceful, and bursts of essentially monaural centre focus where the momentum continues yet the dynamism is significantly reduced. 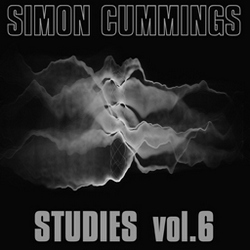 During this opening section various forms of electronic burbling are explored, some quite abrasive, but the introduction of low rumbling around seven minutes in triggers a complete pulling-back of the music. What this restraint clarifies is another key feature of Karkowski’s music, in which a number of distinct elements are combined to form stratified sonic environments. The way Karkowski utilises these brings to mind looking at the surface of Jupiter, where diverse storm patterns rush past each other at different rates in different directions, largely retaining their independence yet unavoidably having an effect on their surroundings. 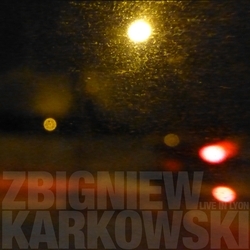 In Live in Lyon, by the mid-point the different strata have all practically cancelled out, but Karkowski introduces a new kind of wind-like noise that very slowly builds until something like a pop releases the pressure. This temporarily acts to energise things, though the music soon clarifies and smooths into another stratified texture in which the distinction between left-right and centre returns, though with less significant dynamic contrasts. The emphasis on different colours of noise that typifies the second half of the performance is shifted towards pitch in the final minutes, via a high band of what starts as noise but becomes increasingly focused and attuned, taking over completely in such an oppressive way that there are numerous instances of what may or may not be actual clipping of the sound, like a light that’s been overcranked to an excessive level of luminosity. In the closing moments, though, Karkowski shifts things again, neutralising the ‘light’ with a band of noise that gently erases everything. Throughout this performance there’s a palpable sense of Karkowski as an experimenter, mixing sound elements together like a scientist mixing chemicals to see what reactions will take place. As a consequence Live in Lyon is unpredictable, though the way he allows the elements and their combined reactions time to speak makes the experience all the more engaging and immersive. A soundboard recording from an undated performance, Live in Lyon is available as a free download from the Canadian Walnut + Locust label. A much lengthier example of Karkowski’s approach to sound can be heard in the 61-minute UEXKULL. The piece is one of Karkowski’s earliest, dating from the late 1980s, and as such is interesting in the way it displays so many traits that would typify his work over the next three decades. The patience demonstrated in UEXKULL is remarkable, initially spending no less than a quarter of an hour setting up a deep drone that’s fixed in terms of pitch but timbrally sounds in a state of flux, adjacent to which a number of close proximity pitches are placed, causing juddering beat patterns (an idea greatly expanded upon 15 years later in The Hafler Trio’s Trilogy in Three Parts). Following this overture, the second part of UEXKULL pits this drone against not so much a new element as an agglomeration of elements, captured in a complex sound object that slowly pushes its way into the middle (calling it the foreground isn’t quite right, as its remains somewhat distant). Karkowski lets this object sit in front of us for some time, enabling us to absorb its constituent parts and their combined behaviour. This is then compressed to produce a clarified, three-layer texture of drone (low), noise (mid) and pitch (high) before Karkowski fades in an even more dense sonic object, seemingly filled with lots of discrete materials though, despite again having many minutes to spend with it, all remain impossible to identify. It becomes yet more complex, seemingly consuming everything (the drone becomes almost inaudible) and resembling a kind of ‘noise star’, radiating torrents of sound while at the same time exhibiting a strange sort of regularity. Only when this lengthy episode dies back does it become clear that the drone not only never went away but has remained entirely unchanged and unaffected by the enormity of what has been going on above. Underpinning drones recur a lot in Karkowski’s music, and precisely what they are and what they do is an interesting question. Are they a reference point? a grounding? a backdrop? a foundation? In UEXKULL there’s an undeniable omnipresence to the drone that makes it sound uncanny, even numinous. It suggests changelessness and infinitude, a kind of elemental default position within the work’s soundworld. By contrast, everything else is transient and ephemeral, bursts of power, imagination and magic within a very much more expansive, even unending environment. 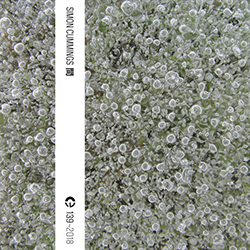 The latter half of UEXKULL reinforces the primacy of the drone (giving the piece as a whole the structure of a diptych), before another sonic object slowly fades into view, shimmering and with very distinct stratification due to its layers again occupying separate registers. Over time it becomes beautifully abrasive, another ‘noise star’ but this time with sharp granular edges, spinning faster and faster before our ears. Karkowski directs this into the work’s second climax, an intense episode that remains stratified yet, while highly concentrated, contains a huge amount of inner details all audible to differing degrees of clarity. It spins away into the distance, leaving the drone to continue, perhaps forever. In much of Karkowski’s work, he creates vast sonic spaces that we don’t so much inhabit as they envelop us, but in the case of UEXKULL, there’s a stronger sense of a musical drama unfolding in front of us. What unites the piece with all his later music is its preoccupation with the raw beauty of elemental sound forces, the way these forces can be combined in ways that both preserve and obfuscate their individuality, and above all the way complexity and abrasion can combine to attain impossibly bright levels of radiance. 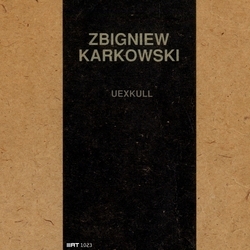 UEXKULL was originally released on CD by the Swedish label Anckarström way back in 1991, but has since been reissued as a free download by Polish netlabel AudioTong.